Grégoire Chamayou is a research scholar in philosophy at the Centre National de la Recherche Scientifique in Paris. He is the author of A Theory of the Drone and Manhunts: A Philosophical History. He lives in Paris. 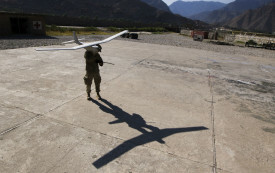 The remote-controlled hunting of human beings has become standard practice in American warfare.